Rock Out This Summer! | Blog It Back! What a great article to start summer with! You rock!!! Haha! You rock. I rock. We all rock! I love that we literally live ON a giant rock! The soil that grows our plants is also partly made up of weathered rock. This is awesome! I love these ideas! I’ve been practicing fear of contamination by picking up coins off the ground when I go for long walks. In addition to ERP practice, I made 20 cents so far! 🙂 And after reading this post, now I see that by picking up coins, I am also getting that connection to the Earth which I’ve also heard helps balance out the excess electromagnetic energy we all get from using wifi devices like phones/tablets/laptops. Great erp exercise! You’ll be rich in more ways than one! I am inspired to get out my collection of pebbles and stones that, as a 10 year old, I gathered on a family camping trip to the west coast! I haven’t opened the bag since I was ten….now I suddenly want to stack and walk all over them! Oh I’m excited! I want to hear more about these rocks from your childhood! I’m totally in. Very curious to see, hear, touch. These aren’t just any stones! Hiking and nature are extremely important to me, not only because I love it, but I also find it to be extremely grounding. I notice when I am engaged in this activity, the “chatter” is almost non-existent. I feel one with nature and I marvel in its beauty, serenity and all that is has to offer. 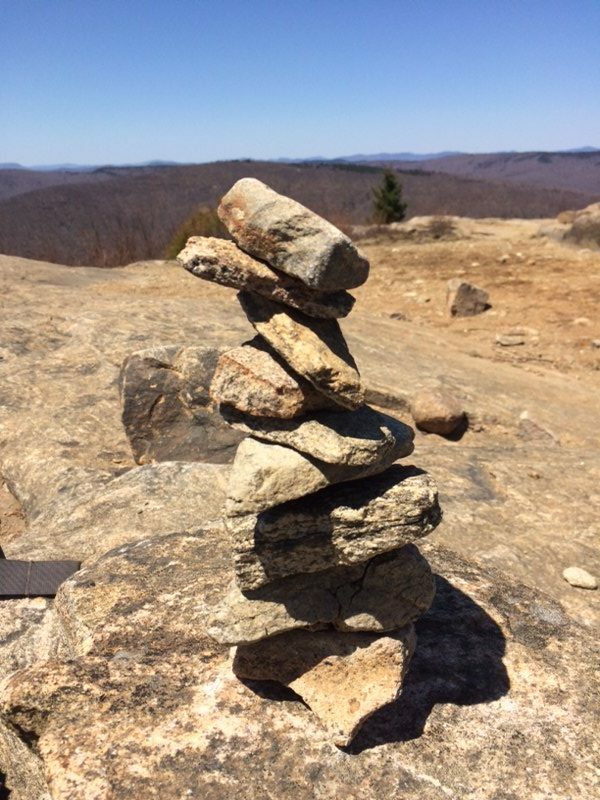 Rocks have actually become a very important part of my life over the past three years or so and I myself have built well over 50 Cairns amidst my hiking travels and I find it very relaxing and empowering. Each rock has its own story and now I must solve a puzzle to create the Cairn. I actually search for the most difficult and awkwardly shaped rocks available and I work very patiently and diligently to defy gravity. Once finished, I take a step back and marvel in the creation, to me it is beautiful and very relaxing. I have never actually told anyone this, but I have a special lake that I go to, not only for its loons, tranquility and picturesque mountains that surround the entire lake, but I spend HOURS and I mean HOURS playing in the rocks, like a little kid. I literally sit down in the sand/dirt, with my metal sifter I bought from the dollar store and I dig up the sand and all the rocks, I sift away the sand, then I spend hours looking through all the rocks and pebbles. I look for special coloring, textures, patterns, shapes etc. BUT what I pay special attention to while panning for rocks are rocks with actual garnet in them!!! I have been collecting rocks with garnet in them for the past three years now and have accumulated a pretty astonishing collection. I am a fish at heart and getting me out of the water is almost impossible, but when my fingers and toes look like 20 year old raisins, I know it is time to move to the much larger rocks!! 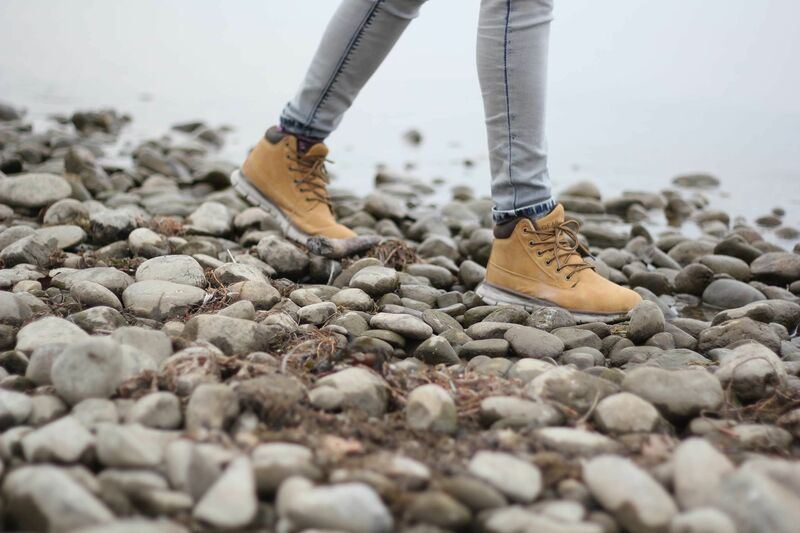 I walk (barefoot) along the shore line and I turn all of them over, looking for that special rock. This special rock will shimmer in red beauty, It will be covered in the most absolute gorgeous gemstone I know, garnet. One day I hit the jackpot! I brought home an absolutely beautiful and breathtaking rock, littered with sparkling garnet. 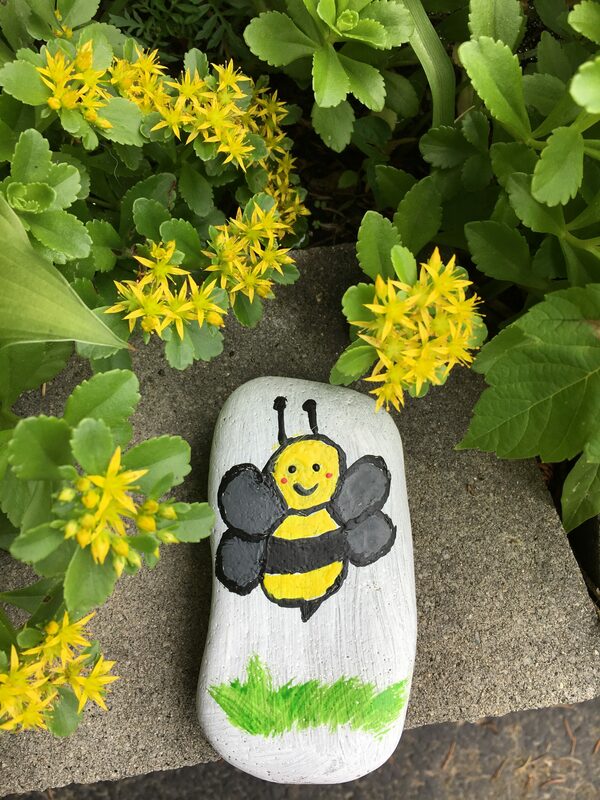 I take very special care of this rock and have it displayed in my garden. Rocks are VERY grounding and they are so beautiful and they all tell such a magical story. Just take a moment and think how long they have been here, where they have been and how they were formed, its truly beautiful if you think about it. This was a great article Tammy! Wow, you have written a beautiful tribute to rocks! Your description makes me want to go out rock hunting! 50 Cairns, holy moly! Anyone feeling ungrounded can get an idea of what to do from your post!